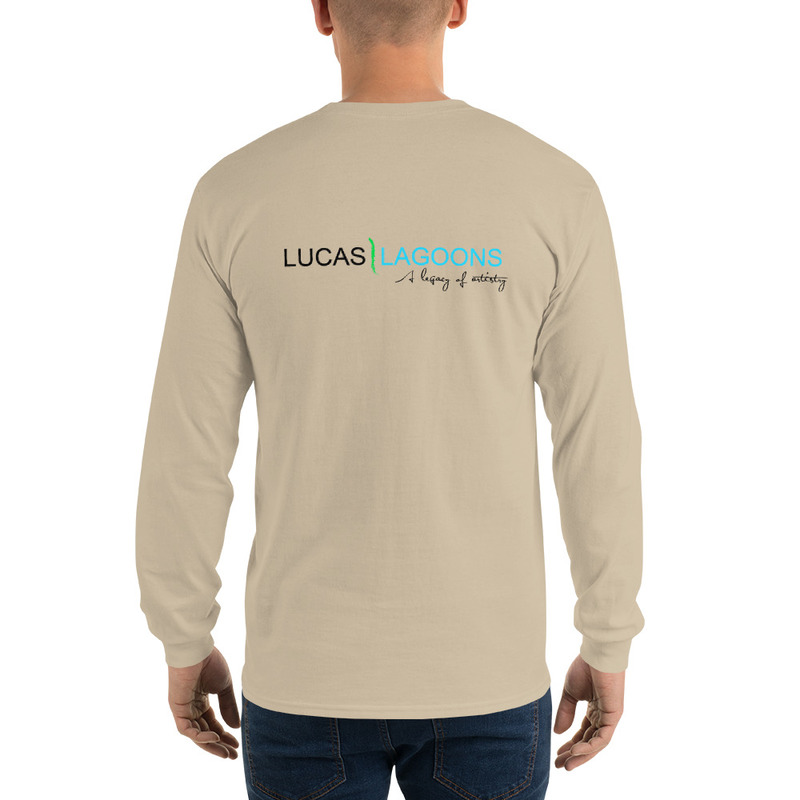 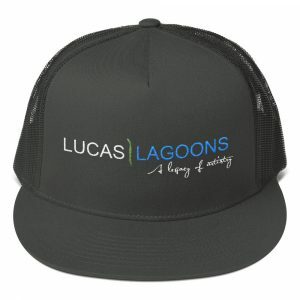 Beat the heat AND the sun with this Lucas Lagoons Men’s Performance Long-Sleeve T-Shirt in white with full-color Lucas Lagoons Logo screen printed on Back. 100% jersey knit make this the perfect men’s performance long sleeve for fishing, landscaping, boating and of course hanging at the lagoon pool! 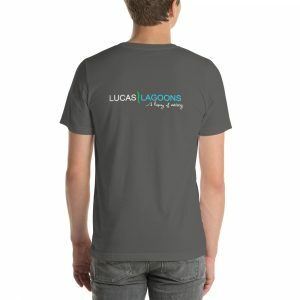 Lucas Lagoons Men’s Performance Long-Sleeve T-Shirt in White with full-color Lucas Lagoons Logo printed on the back.